Please sign-up first, before creating a free basic memorial or upload a photo/story. Not case sensitive. No spaces btwn characters. The person's full name, birthday, birthplace and date of passing. A required digital picture for the profile. An optional but recommended bio. 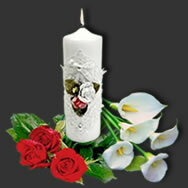 As a member you can create a free basic online memorial.